What is the Audio Media Player Plugin? 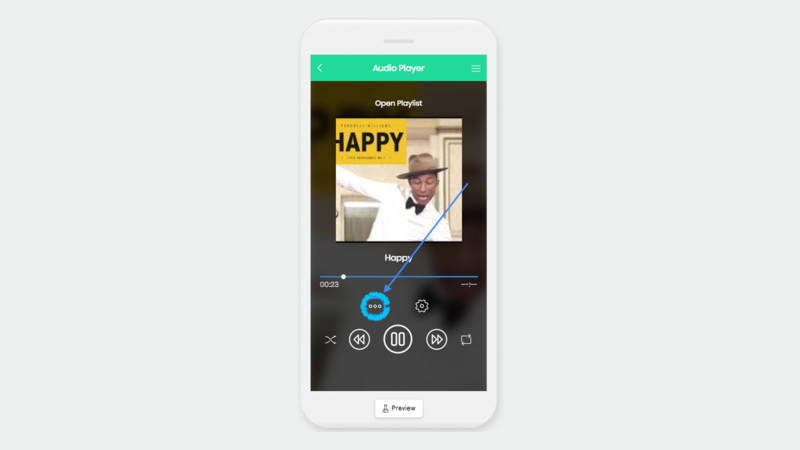 The Audio Media Player can be used as the control hub for all audio media in the Soundcloud, Media Center Manual, and Media Center RSS Feed features in your app. It will allow you to quickly pause, play, fast forward, and rewind an audio clip. You can even create a master playlist with it. What are some use cases of the Audio Media Player? What are the Audio Media Player’s primary functions and what are the steps to accomplish them? The Audio Media Player provides some amazing functionality as described in the introduction, but read on to see what some of the core features are and how to set them up. HIGHLY RECOMMENDED: We definitely suggest you put the Audio Player in your side menu so that it's always accessible to your users wherever they are in your app. Once the file has buffered enough, which can vary depending on your connection speed, you'll hear the sound clip start playing. You can quickly go into the Audio Media Player Plugin to control whatever is playing at that moment allowing you can pause, play, fast forward, and rewind. To view your playlist, just tap on “Go to Playlist”. As we stated above, we highly recommend you insert it into your Side Menu, preferably at or near the very top. 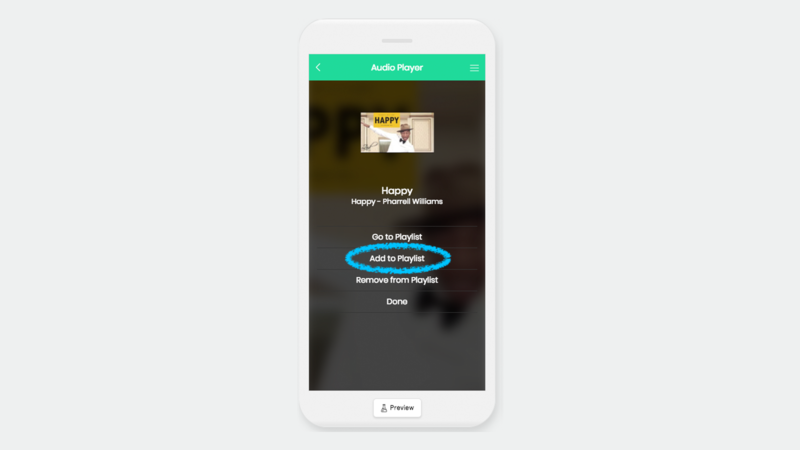 This will make sure users can easily access it anywhere in the app in order to control the music they’re currently listening to.